The environmental lobby gradually succeeds in promoting "the environment" to the "Golden Calf" of the 21st century. Rationality and sense of proportion have vanished from the environmental debate. Whoever questions Al Gore's climate alarmism gets labeled as "negationist" worse even than Holocaust deniers. Even human rights, democracy and prosperity give way to the new idolatry. Recent research however learns how much the climate alarmists exaggerate “global warming” and its effects. Anti-globalist motives seem to dominate the Copenhagen Climate Conference rather than environmental concerns. This hidden agenda will distort global trade, deteriorate development and worsen the environment even more. There is growing controversy about the causes of and the Kyoto approach to "Global Warming". Growing numbers of scientists affirm that human activity has but a limited impact on the climate. Climatologists increasingly link global warming to natural processes and particularly to increased solar radiation, which passed its peak in 1998. Human activity accounts for barely 4% of the total CO2 emissions, natural processes and volcanoes for all the rest. The greenhouse effect of water vapor is even 900 times larger. As reduction of human activity proves extremely difficult and the proportion of human CO2 in the greenhouse effect so low, climate realists argue that the climate plan can only produce minimal effects and this at a very high cost. Leading scientists of the Copenhagen Consensus Centre - including five Nobel prize laureates - agree that Al Gore’s scenario featuring drowning polar bears and 6 meter rising sea levels are wild exaggerations. Even the UN’s own Intergovernmental Panel on Climate Change only estimates the potential rise of sea levels at one foot. Al Gore’s arguments and calculations are one sided and misleading. The alarming death toll from killer heatwaves disregards lives saved due to the reduction of more deadly cold waves. The fact is that during the Middle Ages man and nature survived higher temperatures than today’s worst case scenario remarkably well. The warm climate even allowed for increased food production and prosperity. Sea levels did not rise notably then nor did polar bears extinct, so we don't need to fear such imaginary catastrophes now either. Bjorn Lomborg and the Copenhagen Consensus Group argue that the UN Kyoto-style reduction sheme as it is conceived today is the most costly and most ineffective way to reduce emissions while it will only have minimal effect. 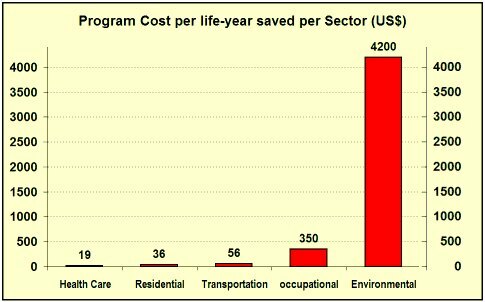 Other research and development programs provide a much larger contribution to the environment and human development at only a small fraction of the cost. They fear that the UN climate plan will crowd out other programs from the agenda and development budgets and that even decent health care programs - which are 200 times more efficient in saving human life - are in peril. Inefficient use of development budgets is therefore not only wasteful but even immoral. One single water pump at the cost of a couple of solar panels can spare hundreds of Sahel women the daily journey to the well, prevent infections and save lives. A mini-investment in mosquito nets can save thousands from malaria. Lomborg worries that Al Gore's populist propaganda conceals the overall development picture. He calls for a global consensus on a list of priorities based on a wrong rationality of risk and cost/benefit analyses which are totally lacking in the climate debate at present. The UN climate plan as it is conceived now would have devastating effects on World Trade. The aim of the climate round is to reduce CO2 emissions through a “Cap-and-Trade” scheme whereby governments will set a total limit on greenhouse gas emissions and arbitrarily distribute allowances through exemptions and auctions. Developing countries, including countries like China, India, Brazil and even the oil-producing countries in the Middle East, would largely be exempted from these obligations. As an excuse for their exemption, the UN plans to introduce the deceptive concept of “climate debt” thereby improperly incriminating industrial nations for their very existence and disregarding the benefits of their environmental expertise for the world as a whole. As a consequence the cost of CO2 reduction will only weigh on manufacturing costs of industrial nations. As these nations tend to use the least polluting production processes, the UN climate plan creates the counter-productive incentive to misuse budgets for sophisticating technologies with the least marginal CO2 reduction potential. The plan also gives business new incentives to outsource production to countries with low environmental standards, with counter-productive ecological effects. The decoupling of production costs from the market reality leads to huge distortions of global trade, particularly in Europe where also Eastern European transition economies managed to acquire vast exemptions. The distorting protectionism related to the climate agenda is likely to paralyze worldwide trade just as it did in the 1930s. Rather than protectionism, free trade would provide us with the answer to this global challenge. It is free trade that allows countries to benefit reciprocally from their comparative advantages, particularly so in the field of environmental and ecological expertise. The biggest victims of shrinking worldwide commerce would therefore be the climate itself and those developing countries with the most vulnerable economies. But even industrial countries cannot afford a contraction of the world economy at a moment when growth seems indispensable for economic recovery, for the sustainable funding of their welfare states and development of new technologies. 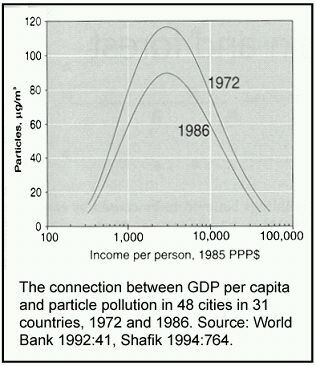 The fallacy of environmentalism is to assume a linear relationship between growth and emission levels. This belief is erroneous as per capita emissions prove to decline as income grows. It is economic growth that allows for technological advancement, and such progress automatically contributes to the cutback of emissions much more efficiently than reduction of human activity. Only sustainable growth is capable of assuring the growing world population a dignified existence such as guaranteed in UN and other human rights conventions. A protectionist return to a pastoral past will provide us with no prospects whatsoever in that direction. State monopolies on the supply of the virtual but obligatory raw material of emission allowances constitute a triple risk: scarcity, misallocation and high price volatility. Because the UN scheme will collect CO2 taxes, which will be passed on to consumers, intransparently through business, politicians are likely to regard this unseen taxation as an inexhaustible source of income and make CO2 allowances as scarce and expensive as they wish. Just as artificial scarcity of building permits already inflated prices of residential building land to the detriment of a society's prosperity. Under the UN Cap-and-Trade Scheme, the price of CO2 allowances would become the playtoy of political caprices and unpredictable compromises. Prior knowledge of the political decisions and favoritism for privileged sectors, people or constituencies is likely to degenerate the emissions trading scheme into a swindle. 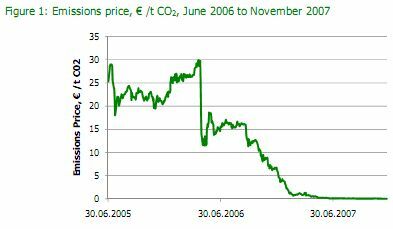 Under the European emissions scheme CO2 carousels already turned European Emissions trading into an extremely costly debacle. National governments could just as well raise existing national taxes on fossil fuels and achieve the same emission deterring effect without involving the expensive and fraud-sensitive UN bureaucracy. The administrative cost of such a tax increase is zero, while a shift of the tax burden from income to consumption will restore the incentives to adopt productive behavior and hence stimulate the economy, in the meantime avoiding a serious distortions of global commerce. The advantage of a national eco-tax is that all the income remains national. Unlike the UN Cap-and-Trade Scheme under which governments arbitrarily attribute emission allowances, such a pigovian tax is directly proportional to the emissions. It therefore gives incentives to direct efforts and research to projects with the highest CO2 reduction potential. Under free market conditions competition would continually oblige entrepreneurs to weigh costs against potential gains. When governments engage in the central planning of emission reduction, political motives come into play. Demands from special interest groups, from the environmental industry to green lobbyists, are all invariably distorting the allocation of resources and are all leading to wastage. The examples are common: although solar panels in northern countries have by far the lowest energy yield per invested Dollar, the eco-industrial complex engrossed the lion's share of Europe’s eco-budgets. Demands from the agricultural lobby originated in subsidized bio-fuel projects with catastrophic consequences for the global food production. Behind the Copenhagen Climate Conference an agenda of global dirigism is also hidden, aiming to withdraw policy issues from sovereign national bodies. Self-feeding supranational organizations escaping from democratic control such as the UN World Climate Organization, the OECD or the G20 will continue - with increasing arrogance - to push their dirigist agendas through, aiming at global control over national policy independence. The incriminating OECD list of “tax shelters” was the most brutal example of this in recent weeks. The question should be answered where this incestuous circle of supranational organizations - and the present generation of politicians - found the democratic legitimacy to decide on fiscal policies for all future generations and to impose new taxes on them decades in advance. The Copenhagen Climate Round is a dangerous next step towards a fascist "New World Order". The arbitrary Cap-and-Trade Scheme is more than economic madness -- it brings into the specter a dangerous One-World Government under UN dictate. I wonder who really subscribes to and promotes the "golden calf"? And who are the "real" idolators? Please check out these related closely reasoned references which give a very sobering assessment of the world altogether. The world as created by the now world-wide anti-"culture" of competitive individualism. An anti-"culture" that has, by its very nature, inevitably brought the entire world to the brink of both cultural and ecological melt down. De New York Times onthult e-mailverkeer waaruit blijkt dat Wetenschappers samenspanden en statistische trucs gebruiken om "Global Warming te overdrijven. Het e-mailverkeer wordt toegeschreven aan prominente Amerikaanse en Britse klimaatonderzoekers en bespreekt onder meer of wetenschappelijke data en bevindingen zouden worden vrijgegeven. Verscheidene wetenschappers bevestigden dat zij auteur of ontvanger waren van specifieke e-mailberichten. Dr Trenberth, een klimatoloog aan het Nationale Centrum voor Atmosferisch Research zei dat hij ontzet was over de lek. Phil Jones, klimaatonderzoeker aan de East Anglia Climate Research Unit, erkent dat hij had een "truc" had gebruikt om de recente daling in temperatuur te verdoezelen. Ook Dr Mann, een professor aan de Pennsylvania State University, bevestigd in een interview het e-mailbericht als echt. Hij betreurt de woordkeuze door zijn collega maar merkt op dat wetenschappers vaak het woord "truc" gebruiken om te verwijzen naar een goede manier om een probleem op te lossen. De onthullingen lijken de weinig wetenschappelijke manier te bevestigen waarop het klimaatdebat werd gevoerd. Lord Monkton had dat eerder deze maand al aangekaart op een opgemerkte lezing in de VS. De lekken tonen ook aan dat over "global warming" helemaan nog geen concensus bestaat, en zullen zeker het debat aanwakkeren op de internationale klimaatconferentie van Kopenhagen begin volgende maand. A controversial Conservative Euro MP has careered into a clash with a bishop over his claim that the Church of England has "abandoned religion" to preach the gospel of climate change. Roger Helmer, Tory MEP for the East Midlands, has infuriated the Church with the accusation that it is more interested in "climate alarmism" than its traditional teachings. The climate-change sceptic, who sparked fury recently by claiming homophobia did not exist, also questioned the Church's political leanings. The broadside, in a local newspaper in the run-up to the Copenhagen summit, last night provoked outrage from political opponents – and the Bishop of Leicester. The Rt Rev Tim Stevens said he was "surprised and saddened" at the attack. He also said Mr Helmer had failed to express his "extraordinary view that the earth is cooling" when he took up an invitation to debate climate change in Leicester Cathedral. The Bishop was responding to a letter in the Leicester Mercury, in which Mr Helmer referred to the children's writer GP Taylor's decision to join the Catholic Church, "saying that 'the CofE is a sinking ship that has become the spiritual arm of New Labour'".